Boo-Yah! has partnered with Joe Public United for the 2019 Future Fit™Networking Events, which will take place on Wednesday, 20 February. "For the past three years, we delivered inspiration sessions reaching over 11 000 people to get them excited and passionate again. There is nothing more rewarding than to see the sparkle in peoples’ eyes and get them fired up. Starting the Future Fit™ Networking Events has been part of our vision, and we are thrilled to make this a reality in 2019," says CEO of Boo-Yah! Carmen Murray. "We are particularly humbled by all the support of so many people as well as the speakers who participate and dent the universe in order to make a difference in our business community. I could not have asked for a better partner than Joe Public United, and we are looking forward to hosting these events," Murray adds. Pepe Marais, group chief creative Officer of Joe Public United, adds, "Our organisation exists for the growth of our people, our clients and our country through the greatness of our product. Inspiration is at the heart of creativity, and we are excited to be part of this new platform." 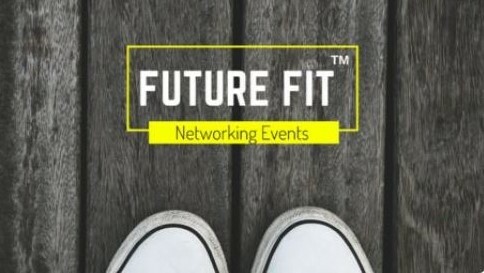 What’s going to go down at the Future Fit™Networking Events? The first speaker at the event is actor Kimberleigh Stark. Stark has starred in over 20 international films and has worked along with Robert Mitchum, Robert Downey JR, Billy Zane and Susan Dey, to name a few. She is a producer, director, casting director, agent, radio host, chair of SAFTAs, and a judge for the International Emmy Awards as well as the International Oscar Awards. Stark will aim to decode the 'Empathy in Storytelling' by sharing the craft of storytelling as they do it in Hollywood. The audience will learn how to preserve the culture and instil moral values and connect with their audiences in a more authentic way. Individuals are encouraged to save the dates and book now. The event is set to take place on Wednesday, 20 February at 16:00 for 16:00, and will end at 19:00. Tickets are R275 per person. For more information, visit www.boo-yah.co.za. You can also follow Boo-yah! on Facebook or on Twitter.